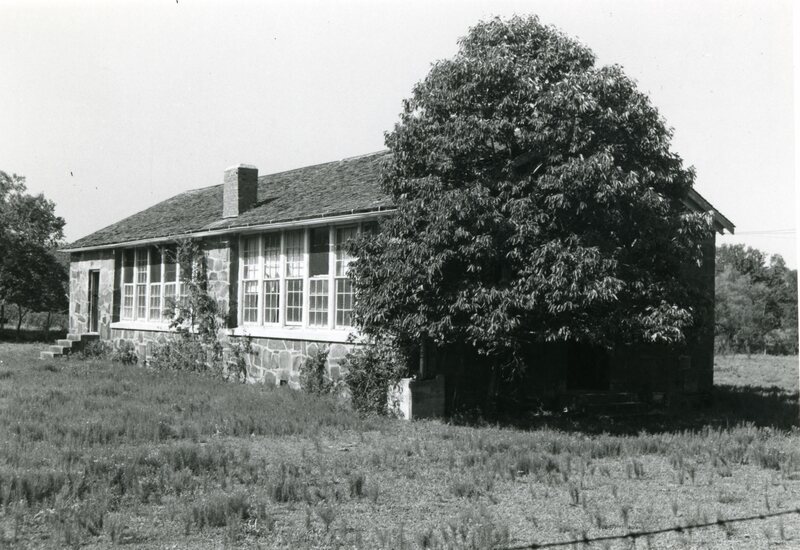 The Jumbo school is composed of two WPA structures: a school building and a teacherage. 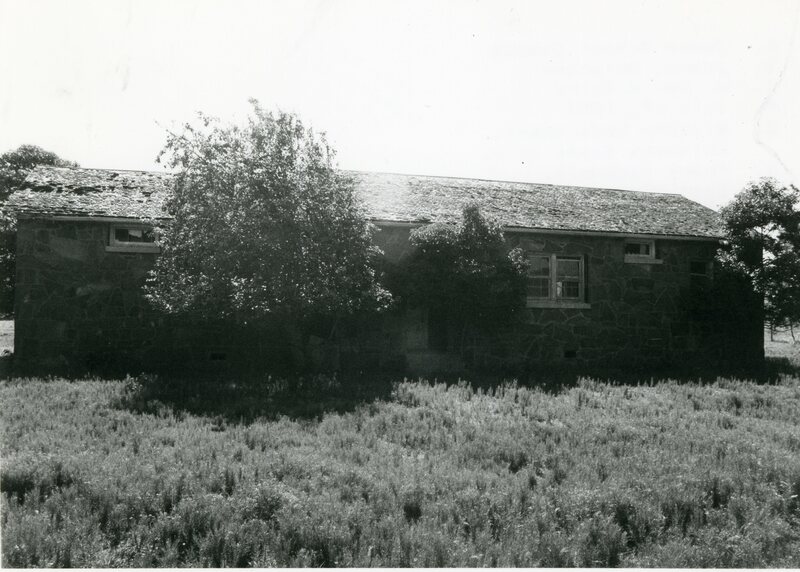 A two-room building, the school is a single story, rectangular (70′ x 30′) structure constructed of untooled and uncoursed native sandstone. 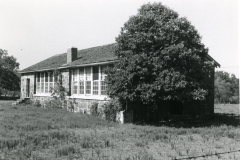 Covered with original wood shingles, the roof is gabled; the principal entryways are recessed behind arches; and the classroom windows, which reach to the eaves, are wood sash and rest on pre-formed concrete sills. The roof is in much need of repair, as are the windows. 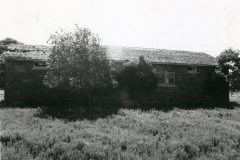 Situated some 150 feet northwest of the school is the teacherage. Measuring 35 feet by 24 feet and shot-gun in style, it is a single story structure constructed of wood frame and clap board siding. The later has been covered with asbestos siding. A porch and roof are at the north front; windows are wood sash. It too is in need of repair. The two buildings are significant because they obviously created for students a new environment conducive to learning. 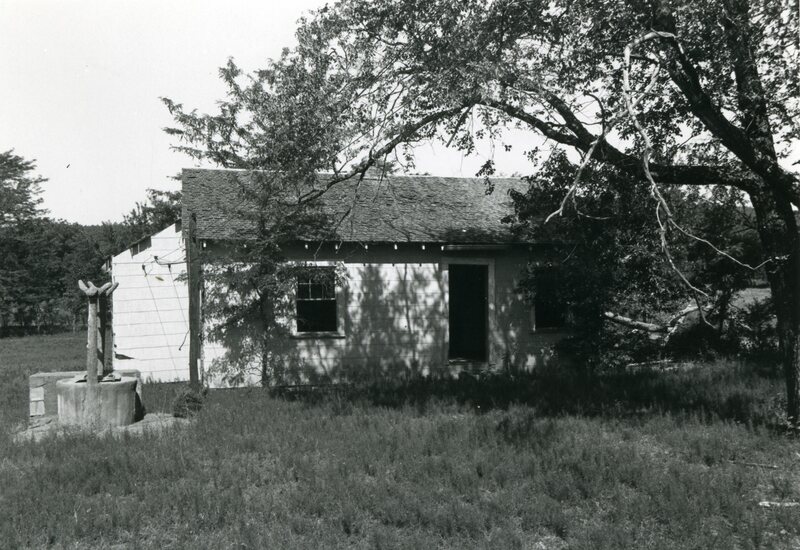 As rural WPA school structures, they constitute a classic facility–a two room school with teacherage. Within the Jumbo community the school building especially is unique architecturally because of its type, style, scale, materials and workmanship. 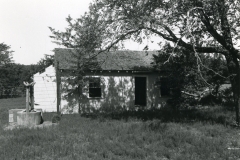 Construction of them, of course, gave much needed employment opportunities to unskilled and destitute agricultural laborers, who without the WPA would have faced certain starvation.